After a couple weeks of vacations, it's back in the office, on the regular, for a spell. Yay? Actually, that's not so bad. I'm one of those "regular routine" sort of people, anyway. So it's all good. I hope everyone's starting to get a chance to play the games and such that they got for the holiday season. 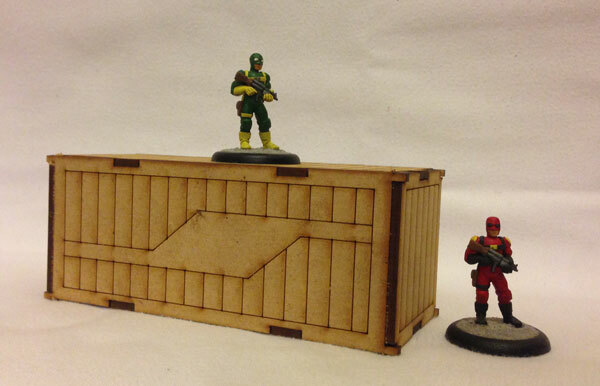 Now that you've got the games and minis, you'll need to make your tables look as good as possible. 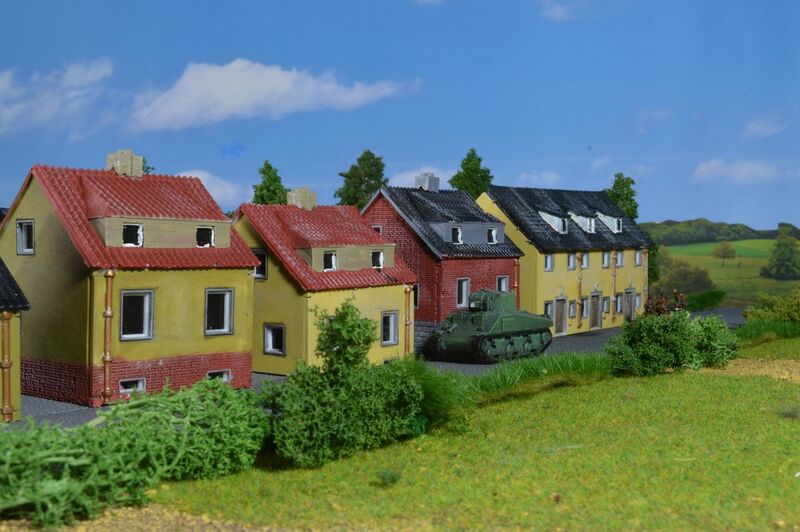 That's what we're here for today, with our Terrain Corner. 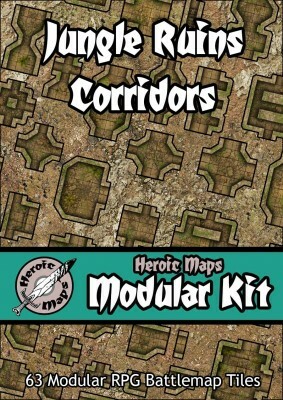 Today's stories include: Heroic Maps Jungle Ruins Modular Kit Available, Heroic Maps The Deepwood Catacombs Available, New German Houses in 15mm & 1:72 from Najewitz Modellbau, and Crossover Miniatures Releases Shipping Containers for Modern Games. 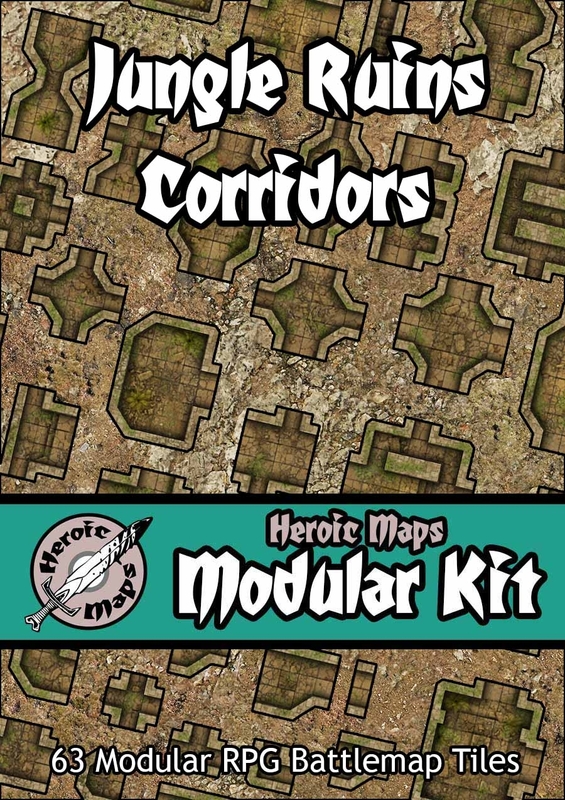 Modular Kit: Jungle Ruins Corridors comprises 63 different tiles that can be printed multiple times and arranged in limitless combinations. Three different width corridors with straight sections, junctions and steps, and unique passageways, grand corridors and decorative columns. The perfect set for creating exciting and unique jungle dungeons, temples and tomb complexes! Deepwood, the huge forest that hugs the side of the Greybark Hills, has many secrets. Travellers and locals speak of ancient ruins, abandoned for hundreds of years, and treasures for those willing to brave the wilderness. One such location is known as the Deepwood Catacombs. Once a grand structure, this tomb is now overgrown and flooded. 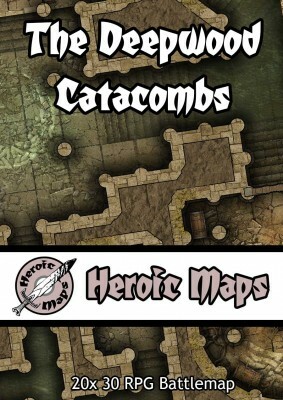 Grave robbers and adventurers have ransacked the upper chambers for most of their treasures, but the inner region of the catacombs is flooded and thus far this has prevented the looting of the ancient tombs. Who knows what lies in wait for those willing to brave the dark waters? 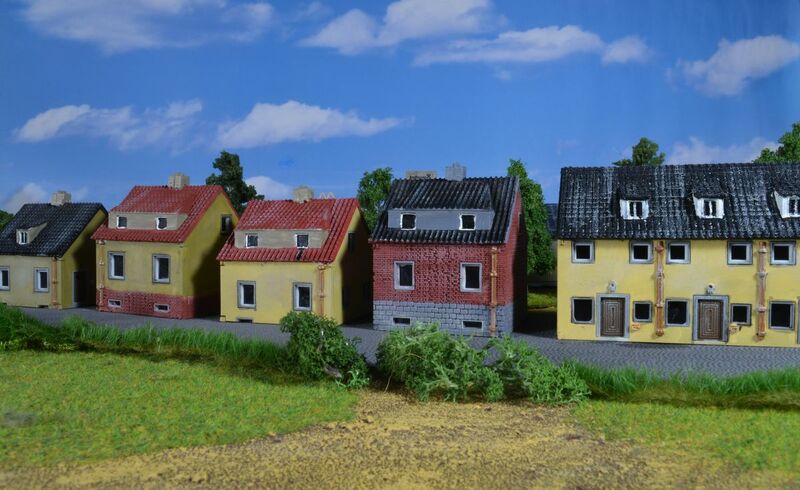 Some new buildings for your table. 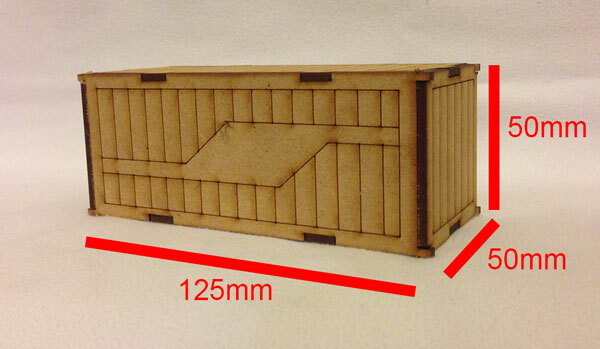 We offer this in both scales 15mm and 1:72. 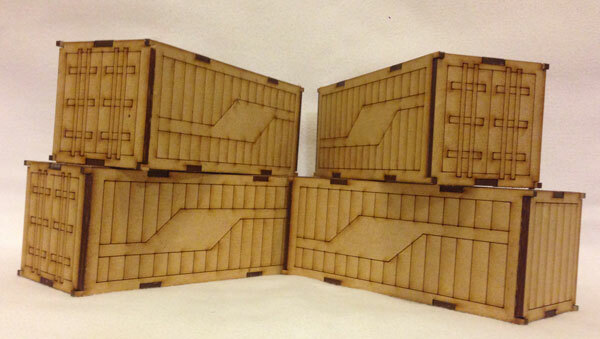 I’ve worked hard to create some good looking useful containers for your modern or ultra-modern 28mm gaming. While I really enjoy the aesthetic of the dockyard on the gaming table, I’ve always been put off by the price of buying enough containers to fill it up or dismayed by the time it takes to build so many. My solution was to create these babies, starting at $15 for 4 and getting as affordable as $60 for 20, I think they are a great value and I’m proud to start producing them.